Picking the best laptop can be a challenging task, because there are just so many different types available from many different brands. Of course, the reliability is also very different. There are many aspects to consider when picking a laptop and one of them is of course the price. If you are looking for a good laptop priced under $500 then you’re in luck, because there are quite a few laptops with decent specs priced less than $500. In this article, you can compare the following best laptops under 500 and choose the one that’s most appropriate for your needs. 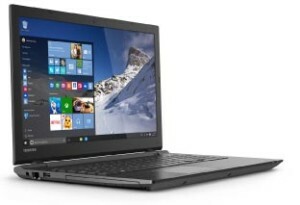 One of the best options for you to consider is the Toshiba Satellite C55-C5241. It has a lot of benefits that make it worth checking out. For example, the performance- it comes with an Intel Core i5 processor. It has more than enough RAM (8GB) and a hard drive that can store a whopping 1000GB of data. On top of that it has a comfortable 16 inch screen and the battery lasts about 5 hours with normal use. The whole setup weighs less than 5 pounds making it easy to carry around. Another one in our “best laptops less than 500” series is the Asus Q502LA-BB15T12 which has the same Intel Core i5 processor with a speed of 1.7GHz making it a pretty fast laptop. It has the same 8GB RAM and 1TB hard drive and while it’s true that the 15.6 inch screen is slightly smaller than on the previous laptop, the difference is so small that you won’t even notice it unless you compare them side by side. The averaging 7.5 hour battery life makes it a perfect laptop for anyone who spends a lot of time on the move. Additionally it weighs just 4.85 pounds so it’s indeed very portable and travel friendly. 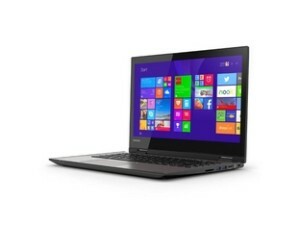 On the third place we will find the Toshiba Satellite Radius 14 E45W-C4200X. The Intel Core i3 processor is slightly older, but the performance difference is barely noticeable for an average user. It has 6GB of RAM which by my personal standards is still more than enough. The 500GB hard drive might be too small in this decade, but it should be enough to last you for a while. The 14 inch screen is noticeably smaller, but shouldn’t be too uncomfortable unless you’re used to staring at big screens. For a traveler, a businessman or a guy like me who enjoys to write outdoors, the battery which lasts about 8 hours in normal conditions is pretty much a godsend. 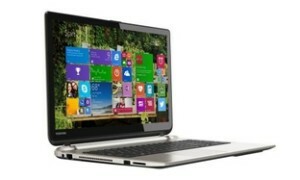 On the fourth place we will find the Toshiba Satellite S55t-B5152 which is again a great laptop for an every day user. With an Intel Core i5 processor supported with 2.2 GHz speed you can achieve decent processing power for your daily needs. Perhaps the 4GB RAM and 500GB hard drive are a little bit too low for modern standards, but the 6 hour long battery life will surely compensate for that. The Windows 8.1 operating system supports your activities on your laptop and because it weighs less than 5 pounds, it’s yet again a great portable laptop for every day carry. 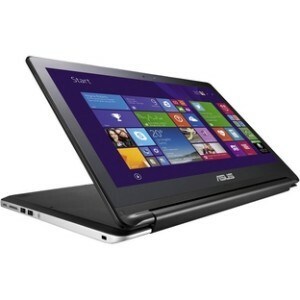 Then we have the Asus Transformer Book Flip TP500LA-EB31T which also belongs to the best laptops under $500 category. It is powered by a new Intel processor and supported with 1.9 GHz processor speed. 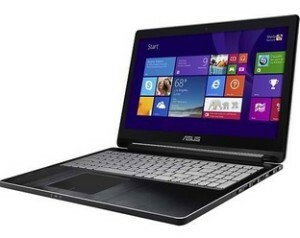 Asus, in order to attract more buyers, stuffed this laptop with 6GB of RAM. It is also portable weighing only 5 pounds in total, but the 4.5 hour long battery life is probably not a top choice if you’re constantly on the move. It has a premium aluminum casing and a soft keyboard which make it very comfortable to use. 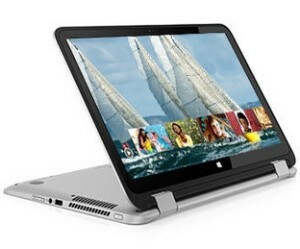 If you are looking for a convertible laptop with affordable price and one that has good quality, the HP Pavilion x360 2 in 1 could be the solution. It’s as generic as it can get for today’s standards with an Intel Core i3 processor, 4GB RAM, and 500GB hard disk, but it can be considered as one of the most portable laptops because it is designed with only 13.3 inches screen and 3.8 pounds weight. With 6 hours of battery life, it’s a great laptop to carry around. Other interesting features are the sturdy hinges and loud speakers. Acer also contributes to our list with their Acer Chromebook 15 CB5-571-362Q. It comes with an Intel Core i3 processor and 2.0 GHz processing speed and is stuffed with 4GB RAM and a 32GB hard disk which is pretty low by today’s standards, but can work for you if you don’t need a lot of space. Ie. if you work mainly with documents and don’t have a lot of photos and videos. The 15.6 inch full HD screen is perfect for watching a movie or two and it’s a great traveling companion as it only weighs 4.85 pounds and the battery can last up to 9 hours! Additionally it has a comfortable keyboard and loud & clear audio. 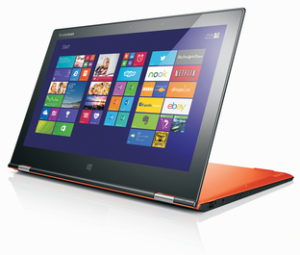 To get the best laptop for less than $500, you can also consider choosing the Lenovo Yoga 2 which is not really a laptop, but more like a tablet. The Intel Premium Mobile processor is not meant for gaming, but it still has 4GB of RAM which comes in handy when you are multitasking. Its crystal clear display is only 11.6 inches in size and with weighing just 3 pounds, it’s considered to be one of the smallest tablets out there. The battery lasts up to 5 hours and it looks rather sleek overall. 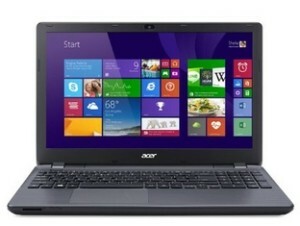 And finally we have the Acer Aspire E5-571-58CG. This cheap laptop has an Intel Core i5 processor powered with 2.2 GHz processor speed. Given it has a great 15.6 inch screen and a whopping 6GB of RAM along with a 1TB hard drive, this laptop can be your all in one entertainment “console“. It can play many different games and the battery which lasts up to 7 hours should be more than enough for anyone. As you can see, you do not need to spend a lot of money to get a decent laptop. Furthermore, if $500 is still too much for you, you can get good laptops for even less than $300. The best laptops under 300 are, for example, HP Stream K2L96UA, Toshiba Satellite C55-B5240X, Asus Transformer Book T100HA-C4-GR, etc. I hope you found this article useful and hopefully this will be a good reference point for you if you are looking for a new laptop for less than $500 USD.